Kharkiv National Agrarian University is the oldest agrarian higher educational establishment in Ukraine. On October 5th, 1816 the Russian emperor Alexander I signed the decree about “The establishment of the Institute of Agricultural Farming” in Marimont, near Warsaw. Organizational period lasted for almost four years. The library was completed, the collections of minerals and herbarium were selected as well as an estate, a brick factory, a chemical laboratory, a distillery, a part of the forest, the park of agricultural machinery, a herd of dairy cows, a flock of merino sheep etc. were transferred at the disposal of the Institute. The famous pedagogue in Warsaw Veniamin Flyat (pl:Jerzy Beniamin Flatt) was appointed the first director of the Institute. On August 30th, 1820 the first statute of the Institute was approved. The training program included the study of the following subjects: physics, mechanics, botany, plant physiology, mineralogy, surveying, agriculture, agricultural architecture, veterinary science, the history of agriculture, forestry and so on. Practical training and the conduction of agricultural researches were planned as well. A manager of the estate, one teacher and three professors worked in the Institute at that time. Every year from one (1821) to eleven (1830) students graduated from the Institute. Polish uprising in 1830-1831 against the repressive regime of the Russian Empire caused the closure of the Institute of Agricultural Farming in Marimont. Only in 1835, the Council of the Kingdom of Poland renewed the work of the Institute. The resumption of the work was accompanied by many changes in the educational process, increasing the number of subjects studied. In 1840 Warsaw Forest School was attached to the Institute and it was called Marimont Institute of Agriculture and Forestry, which was directly subordinated to the Ministry of Education. Students were divided into “svoyekoshtni” (who paid for their studies themselves) and “kazennokoshtni” (the state paid for their studies). The two-year course of studies ended in agricultural or forestry practical training throughout the year. According to the Charter from the year 1857 the right to study in the Institute had only persons who have completed a full course of a gymnasium or a secondary school. Overall during the period from 1840 to 1861 about 1287 agronomists and foresters graduated from Marimont Institute of Agriculture and Forestry. This period was very fruitful and defined the main directions of further development of both the educational establishment and the entire higher agrarian education in the Russian Empire. The fundamental works of Professors M. M. Ochapivskyi, O. M. Yastrzhembovs’kyi, Y.F. Belz and others contributed greatly to the treasury of Agricultural Science. On the other hand, the experience in organizing the Institute was worked up and distributed to other agricultural educational establishments. In 1862 the Institute was transferred to Novo-Alexandria (Pulawy) of Lublin Province. The Polish uprising of 1863 and the participation of students and teachers in the national movement led to the closure of the Institute. Only in 1869 the University renewed its work. 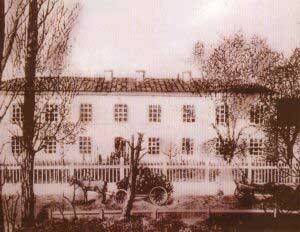 In the second half of the XIX century the Institute began to turn into a center for training specialists in agriculture for the southern provinces of Russia. In 1869-1875 Professor I. A. Tyutchev, an outstanding scientist-chemist, headed the Institute. The Council and the administration of the Institute made great efforts to the further development of the material resources of the Institute, the creation of classrooms, laboratories, the replenishment of the main and student libraries, organization of contacts with many universities and agrarian educational establishments of the Russian Empire. During 1892-1895 the duties of the director of the Novo-Alexandria Institute performed Professor of St. Petersburg University, a well-known scholar, natural scientist and pedagogue V. V. Dokuchayev. During his leadership he made significant changes to the curriculum, introduced the teaching of economic sciences. V. V. Dokuchayev first developed and formulated the basic principles of Soil Science, proposed the scientific classification of soils, laid the foundations of the theory of natural recovery. The first chair of genetic soil science in the world was opened in the Institute in 1894 with the efforts of the scientist and the educational establishment received international scientific recognition. The merit of V. V. Dokuchayev was strengthening the teaching staff of the Institute with highly qualified teachers invited from Petrovs’ka Agricultural Academy. Among them, physiologist and botanist Ye. F. Votchal, foresters M. M. Orlov and M. M. Buryi, economists O. F. Fortunatov and O. I. Skvortsov, soil scientist M. M. Sybirtzev. 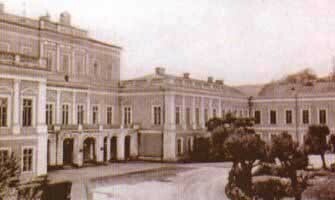 With the outbreak of World War II by the order of the military command in 1914 the institute was evacuated to Kharkiv. In November 1914 the Institute started classes conducted in the classrooms of the university as well as in technology and veterinary institutes. After the Civil War, Soviet Power was established in Kharkiv. The educational process was organized in the Institute. The Institute was classified as a critical institution that was provided with all the necessary things. By the Resolution CPC (Council of People's Commissars) USSR from March 21, 1921 Novo-Alexandria Institute was permanently placed in Kharkiv and renamed in Kharkiv Institute of Agriculture and Forestry. 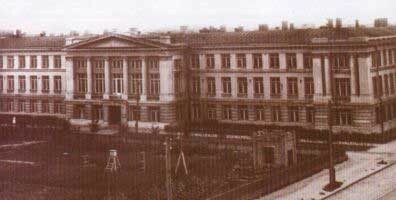 The main building of the Institute, 1919-1940. In 1921 the working department was opened to prepare for entry at the main departments. The number of students compared to the pre-revolutionary time was doubled: in 1922-1923 school year the Institute trained 1061 students including the working department - 338. In 1923 a plot of land of 620 hectares near Nova Oleksiyivka was transferred to the Institute for arranging an educational farm. Chuguevo-Babchanske forestry area of 8937 hectares was granted to the Forestry department of the Institute. An important role in uniting the students of the Institute played “Union of Proletarian Students” created in 1923, later reorganized into the trade union section. Since the second half of the 20s – early 30s there appeared an idea of building new Institute buildings in the country. The Administration of the Institute at its meetings even identified sites of new construction, developed a plan and the commission which was responsible for the building under the project of the architect A. M. Beketov. But subsequent events undermined the implementation of these plans. In 1929-1930 so-called agrarian marches were carried out in the village. For Kharkiv Agricultural Institute the policy of radical transformation of the Ukrainian village had controversial results. Teachers and students of the institute were involved in the fight against “kulaks” and “enemies of the people”. Just during that very period mass Stalin’s repressions began. Such directors of the institute as J. G. Surohz, I. I. Kas’yanenko, G. M. Klunnyi, P. I. Zapara, M. A. Barabash, Ye. 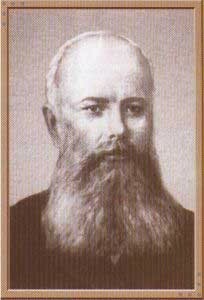 V. Hodak. P. Ye. Sobko and prominent scientists O. N. Sokolovs’kyi, A. M. Slipans’kyi, I. B. Yud and others were repressed. In connection of agricultural higher educational establishment consolidation, on the 28th of June 1930 Kharkiv agricultural institute was reorganized in the structure of an agronomic department and renamed into Kharkiv institute of grain crops. Forestry department was reorganized into Kyiv institute of forestry. The department of land reclamation engineers was moved to Odessa as a separate institution. Kharkiv institute of mechanization and electrification of agriculture was organized on the bases of chairs of agricultural production mechanization and physics. In 1930 the department of extramural students was attached to the institute, in 1932 the department of plant protection was organized, the first dean of which was Professor T. D. Strahov. In 1933 Kharkiv agro-economic institute was attached to the institute as an economic department. On the 1st of February 1934 Kharkiv institute of grain crops gained its first name: Kharkiv agricultural institute. In 1944 the institute was awarded the Order of Red Banner of Labour for its tenacious effective work in training of high-qualified staff for agriculture and in connection with the 125th anniversary from its foundation. 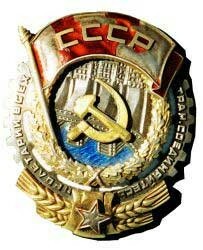 The development of the institute was interrupted by the Great Patriotic War. With the gloomy silence of the empty classrooms the institute saw off its students and teachers to the battle-front. The majority of teachers and employees of the institute joined the 7th separate infantry fighter battalion of people’s volunteer corps, the commissar of which became the secretary of the institute Party organization I. I. Bakulin. Among the fighting-men were assistant professors O. M. Mohzeiko, F. Ya. Buzovir, M. K. Krups’kyi and others. A great number of employees and students of the institute who battled in the front showed courage and heroism while protecting their Motherland. Their feats of arms were recorded by government high rewards. For their heroic deeds the former student of the institute P. L. Vasylevs’kyi and Major E. D. Gotlib were instated the Heroes of the Soviet Union. The secretary of the institute Party Committee I. I. Bakulin who headed Kharkiv regional underground Committee of the Party was tormented in Gestapo torture. For the memory of those who died in the battles defending their Motherland, the successors built a memorable Mark that reminded to the young generation of the heroism of teachers, students and employees of the institute at the time of difficult trials. In October 1944 the institute returned to Kharkiv. In difficult conditions of wartime and reconstruction, Academician of Ukrainian SSR Academy of Sciences, Professor O. N. Sokolovs’kyi headed the institute. Great work as for renewing educational and industrial base which had been ruined by the Hitlerites during temporary occupation had being conducted under his leadership. In 1944 the department of land organization was opened and in 1945 the institute began to graduate the specialists on speciality “Horticulture and viticulture”. In 1946 the department of agro-chemistry and soil science was organized. In March 1946 on the occasion of the 100th anniversary of the birth of prominent scientist in the sphere of soil science V. V. Dokuchayev, the institute was named after him. During the post-war years, post-graduate course was renewed. The institute staff took part in writing new text-books for higher educational establishments; the quantity and quality of scientific researchers were growing. 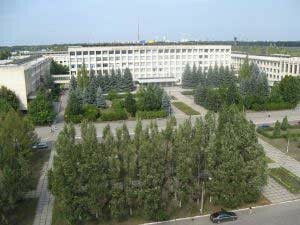 In Kharkiv agricultural institute named after V. V. Dokuchayev scientific schools which were recognized in the USSR and in the whole world had been formed. They are scientific schools of O.N. Sokolovs’kyi, V. Ya. Yur’yev, M. M. Kul’eshov, G. G. Skorobans’kyi, L. M. Klets’kyi, K. G. Teleshyk, D. V. Vorobyov, G. I. Gorohov, O. F. Galkin. A great work as for ordering and replenishment of library fund had been done. In the fifties the students of the institute together with the teachers put the virgin lands to the plough. 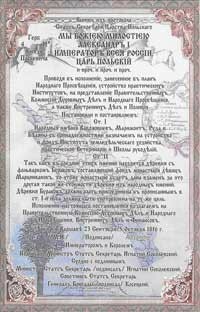 In 1966 for successful training of high-skilled workers for agriculture and on the occasion of the 150th anniversary of its foundation, the institute was awarded the Diploma of the Ukrainian Supreme Soviet President. In 1961 the decision to shift Kharkiv agricultural institute named after V. V. Dokuchayev to the territory of scientific-research farm “Communist” was taken. The construction of agrarian university modern complex began in 1969 and shifting the institute finished in 1978. In 1988 training on specialty “Selection and genetics of agricultural crops” began at agronomical department. In the 1990s a new stage in the development of the Institute began, when Ukraine gained independence and became a sovereign state. In 1991, the Institute was transformed to Kharkiv State Agrarian University named after V. V. Dokuchayev by the government's decision. 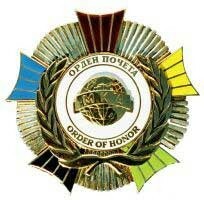 On the 1-st of October, 1991 Kharkiv State Agrarian University named after V. V. Dokuchayev was awarded the Medal of Honor for contribution to the development of higher education and training of highly qualified personnel for the agricultural sector of Ukraine. In 1993 - 1996 Kharkiv State Agrarian University named after V. V. Dokuchayev was headed by professor M. Laktionov. From 1996 to 2007 the rector of the university was his graduate, a candidate of Biological Sciences, professor M. D. Yevtushenko. In 1998 the speciality of Forestry was opened, which in 2002 became the department of Forestry. So, this department renewed itself for the third time during the years of the institution’s history. Since the independence of Ukraine the university has had the fourth level of accreditation. By the decree of the President of Ukraine of the 27-th of March 2002, taking into account national and international recognition of the KhSAU and its significant contribution to the development of national education and science, the University was given the status of national. In 2007, the University was headed by Sergey Bulyhin, a doctor of agricultural sciences, professor, member correspond of the Academy of Agrarian Sciences. Under his leadership, the establishment’s structuring was continued. The scientific and educational institutions of agrobiology, agribusiness, land resources and forest were created. integration into the world educational space with preservation of the best achievements of national higher school.